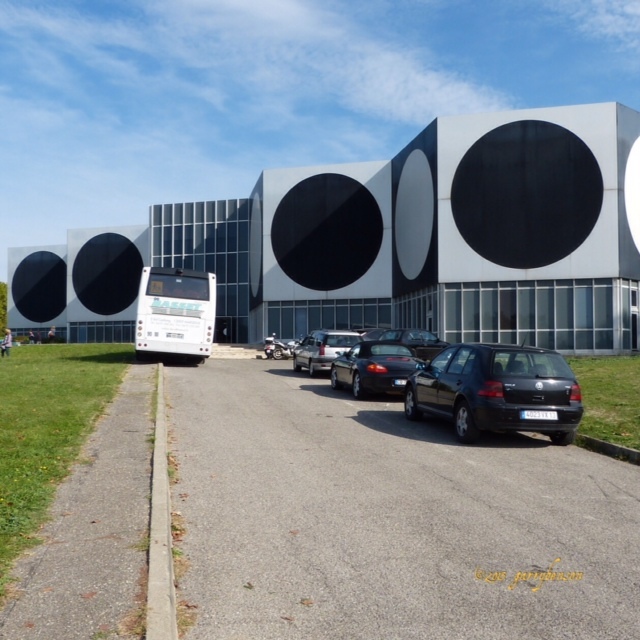 Aix-en-Provence is the site of the Vasarely Foundation – it’s a huge gallery and research centre devoted to education and the arts, particularly optical illusion and the psychology of perception. Lots of the artwork has been blown up from the original size of about 1 metre square and the gallery is thronged with kids doing art. When I first visited Aix (pronounced ‘Ex’ though for years I said ‘Aches’) in 1976 there was a small gallery off Cours Mirabelle (the main drag) that had a few paintings by optic artist Victor Vasarely. I wasn’t in Aix for that, I wanted to see a weaving exhibition of work by Sheila Hicks and Daniel Graffin using indigo dyes. 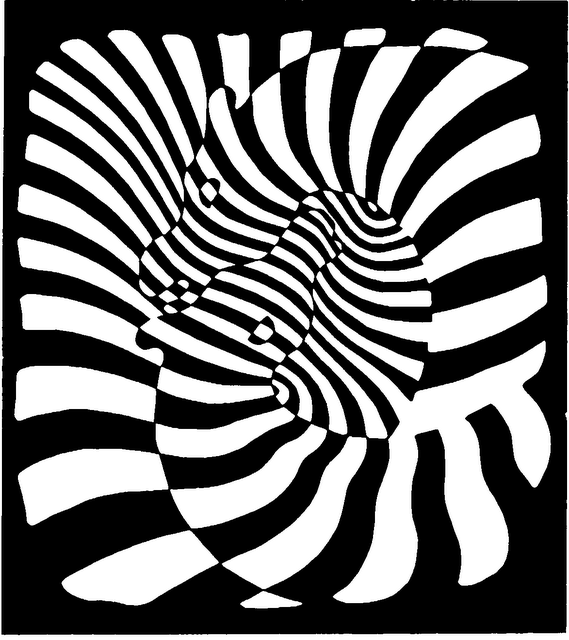 Victor Vasarely was born in Hungary on April 9, 1906, and spent his childhood in many different countries in Eastern Europe. In 1925, he enrolled at the University of Budapest in 1925 to study medicine, transferring to study traditional academic painting two years later. He studied at the private Podolini-Volkmann Academy and Sándor Bortnyik’s műhely, later entering the Bauhaus art institute in 1929, the same year he married fellow student and artist Claire Spinner. He worked as a graphic designer for a ball bearing company where he started using the organic shapes and geometric themes that would feature in his creative work to follow. 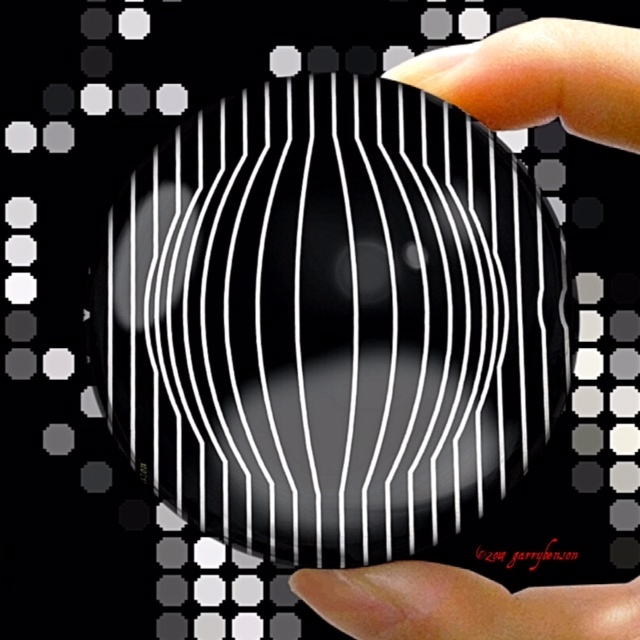 In 1964, Time Magazine coined the term “Op art”, thirty years after Victor Vasarely began creating in the 1930s. Between 1960 and 1980, the artist pioneered his version of the Alphabet Plastique, which is considered as Vasarely’s greatest contribution to 20th century art. 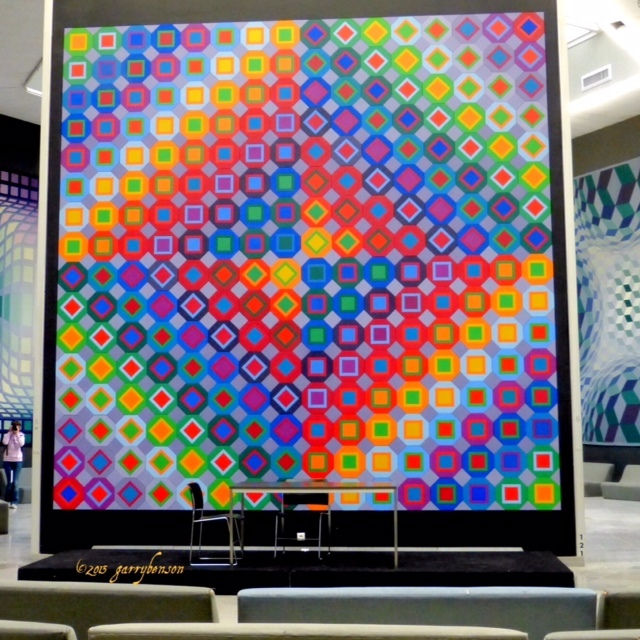 Vasarely died in Paris at the age of 90 on March 15, 1997. 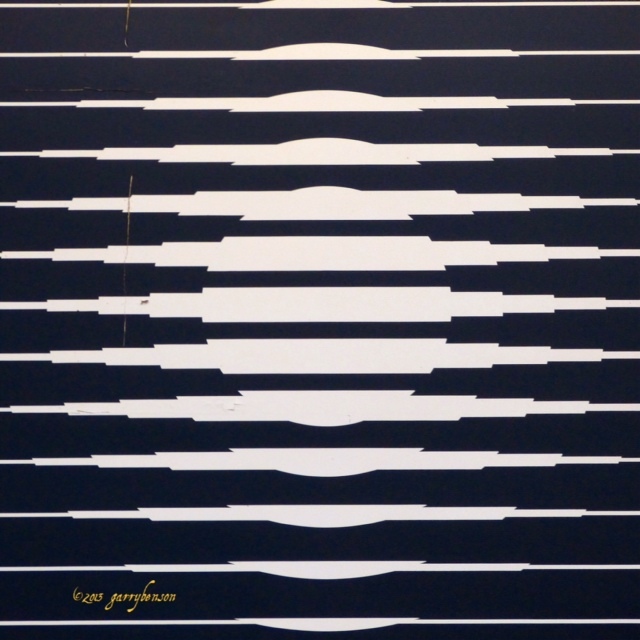 So if you get a chance visit this fantastic centre for Op Art in Aix. It’s just out of the centre of town and very easy to get to by bus or by a short taxi ride from the city centre.